Water damage can blindside you, striking your home when you least expect it. Aside from natural disasters, water damage can often occur in more common ways; such as a broken pipes, washing machine overflow, a leaky roof, or even a clogged toilet. When this happens you must act quickly, to minimize any damage and reduce your chances for future mold growth. That’s where we come in: Here at The Best Restoration we offer 24/7 emergency water extraction service. We utilize state of the art equipment to ensure that your home is safe. 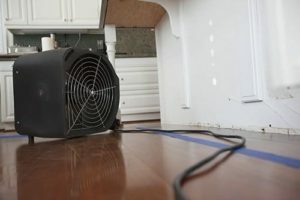 Our knowledgeable staff will come in, within one hour of your call, to extract the standing water, move and/or block your belongings from further damage, install drying equipment to the affected area, remove the damaged padding and then apply an anti-microbial solution to prevent mold and mildew growth. We will also work with your insurance companies to get your home dry in the fastest, cleanest and safest way possible.